Parents’ annual income lacks statistical significance as a predictor of state SAT scores when additional variables are well controlled. Spearman rank correlation coefficients reveal parents’ income to be a weaker predictor of average SAT scores for each income bracket within each state than parents’ education level as a predictor of average SAT scores for each education level within each state. Multiple linear regression of state SAT scores with covariates for sample size, state participation, year, and each possible combination of ordinal variables for parents’ income, parents’ education, and race shows income to lack statistical significance in 49% of the iterations with greater frequency of insignificance among iterations with higher explained variance. 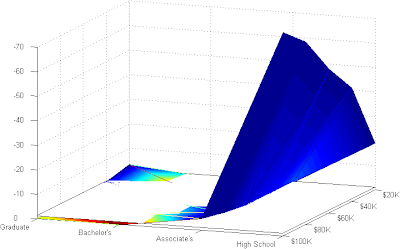 Cohen’s d comparisons of the yearly individual SAT advantage of having educated parents show a fairly consistently increasing positive relationship over time, whereas similar analysis of the yearly individual SAT advantage of having high-income parents shows variability somewhat coinciding with the business cycle. Read the whole study at Open Differential Psychology. See below for important excerpts and extra super-awesome graphs. For those readers who do not have a heart condition, I recommend the spirited and colorful statistics debate in the open peer-review forum. One may also find there data supplements of state data that required many months of typing out the data from 816 state reports into a database, which makes a fun toy. Balf, T. (2014). The story behind the SAT overhaul. New York Times. Retrieved March 25, 2014 from http://www.nytimes.com/2014/03/09/magazine/the-story-behind-the-sat-overhaul.html. Botstein, L. (2014). College president: SAT is part hoax, part fraud. Time. Retrieved March 25, 2014 from http://time.com/15199/college-president-sat-is-part-hoax-and-part-fraud/. Everson, H.T., and Millsap, R.E. (2004). Beyond individual differences: Exploring school effects on SAT scores. (RR-2004-3). New York: College Board. Neter, J., Wasserman, W., and Kutner, M.H. (1983). Applied Linear Regression Models. Homewood, IL: Richard D. Irwin, Inc.
Prescott, B.T., and Bransberger, P. (2012). 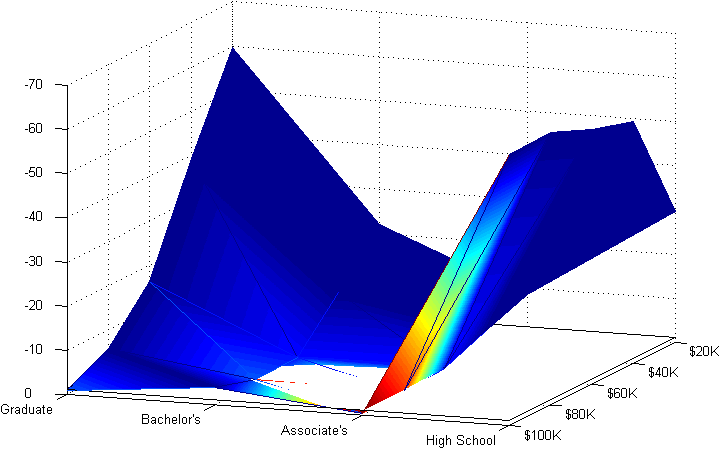 Knocking at the College Door: Projections of High School Graduates (eighth edition). Boulder, CO: Western Interstate Commission for Higher Education. US Census Bureau. (1990). Asians and Pacific Islanders in the United States. Retrieved March 23, 2014 from https://www.census.gov/prod/cen1990/cp3/cp-3-5.pdf. US Census Bureau. (2013). Asian/Pacific American Heritage Month: May 2013. Retrieved March 24, 2014 from https://www.census.gov/newsroom/releases/pdf/cb13ff-09_asian.pdf. Your article is not indexed in Google Scholar. I think the reason could be the name "nooffensebut". I have explained the reason here. It seems you need at least two names in your name. Perhaps if you try "no offense but" or "no offensebut" GS would accept it. Probably for similar reasons, Dalliard also had problems with this. He has asked Emil to make the appropriate changes. You can also ask Emil to change the link of the submitted paper, by uploading a new one, with the new name/pseudonym. Any paper in a given journal should be indexed, otherwise, it's a great loss.